Luxury beyond all convention for a brand, created in Munich in 1998 and guided by the entrepreneurial spirit of founder/designer Philipp Plein, which is in continual growth due to a capacity to astonish and surprise, and to command attention. 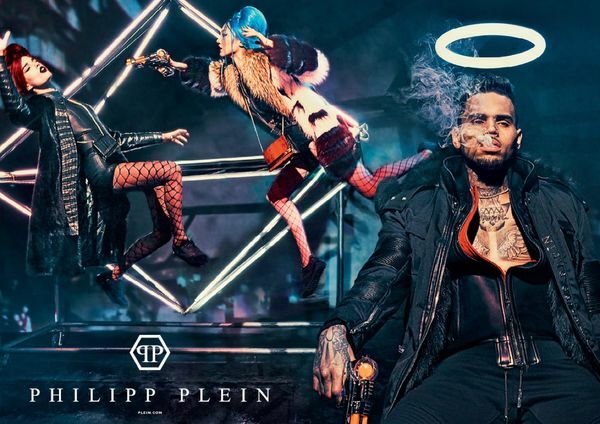 Today, the PHILIPP PLEIN brand includes clothing, accessory and interior design lines which interpret a new contemporary and cosmopolitan lifestyle. Perfection in every detail, combined with a playful and irreverent spirit, are the principal elements of a new luxury and a new elegance. All mainly made in Italy. The unusual and meticulous use of fine materials, combined with original, sometimes subculture details, makes every piece truly unique. What counts most is to give life, imagination and spirit to a product that remains eternally authentic. The headquarters of the Swiss Maison, are located in Amriswil, near Zurich. PHILIPP PLEIN is present in the most prestigious boutiques and department stores across the globe and boasts over 80 mono brand stores worldwide including flagships in Paris, Milan, New York and Los Angeles. PHILIPP PLEIN is continuing its retail expansion strategy with openings in London, Atlanta and other major cities expected by the end of 2016. Philipp Plein was born in Munich in 1978 and educated in Switzerland and Germany. His strong interest in art, architecture and foreign cultures was shaped early in life through the extensive travels of his family, providing exposure as a child to the world's most important museums and cultural exhibits. In 1998 he entered the world of design by producing exclusive furnishings in steel and leather initially for family and friends, which soon became a full time professional activity, demanding enough for Plein to abandon his law studies. His involvement in leather craftsmanship led him to experiment with leather garments and accessories, and finally to launch his own fashion brand in 2004. The company continued to grow and two major milestones were reached in 2008 with the opening of the first flagship store in Monte Carlo and the first commercial showroom in Milan. As the young, affluent consumer continued to discover this fresh unconventional brand, Philipp Plein concentrated on creating a world class production network, thereby guaranteeing the unsurpassed level of luxury demanded by his discerning clientele. The market has applauded this insightful collection that combines young, rock and roll style with impeccable quality, and the world of PHILIPP PLEIN is enjoying a phenomenal success today with showrooms in Europe, North America and Asia, more than 24 mono-brand stores, over 500 retail clients worldwide, a double digit rate of expansion, and currently a turnover of over one hundred million Euro. PHILIPP PLEIN events around the world, whether a local store opening or a major fashion show, are unforgettable experiences. An expert at identifying and interpreting international trends in culture, lifestyle and amusement, the designer uses this talent to develop spectacular and bold entertainment for his guests. From classical concerts to rap extravaganzas, urban jungles, circus performances, Las Vegas style casinos, up to the recent women’s show featuring an unprecedented all black cast.